The holiday season is a wonderful time of year because it’s filled with love, laughter and happiness. However, with all that comes a lot of indulging opportunities, especially when it comes to delicious meals. That’s why this is the time of year where weight gain is most prominent among most people. 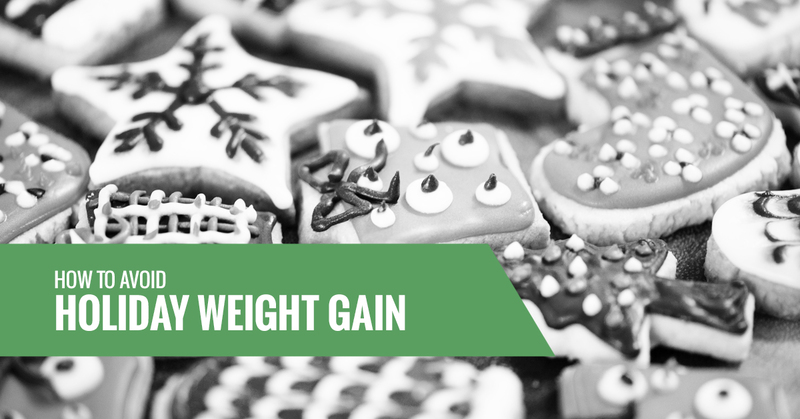 In today’s blog post, we’ll go over a few tips on how you can avoid any holiday weight gain between Thanksgiving and New Years. To keep yourself on track during this season and going into 2019, try signing up for a workout session with a personal trainer in our Erie gym. No matter your health and fitness goals, we’ll do whatever we can to ensure you reach them. Contact us at Centripetal CrossFit today for more information. Continue reading below for some advice from our CrossFit personal trainers on how you can keep any extra pounds off this holiday season and how you can continue to shed them in the upcoming year. One of the most important things you can do during the holiday season is continue to move your body! If you’re regularly taking classes with us in our Erie CrossFit gym, continue to do so. If you like to get out and ski, snowboard or participate in some sort of other winter-related sport, do that. When it’s cold outside, it can be easy to quickly rid of your healthy workout habits and become a couch potato. Avoid this temptation and keep your body moving! It’s essential that you watch your portion sizes this time of year. Sure, you shouldn’t restrict yourself from some of your favorite holiday foods, but you also shouldn’t overindulge. Resist filling up your plate or stacking food. Just get enough to fulfill any of your cravings for your favorite foods through smaller portion sizes. And definitely never show up to a party hungry — this can cause you to overeat on junk food and foods with no nutritional value. It’s important that you hold yourself accountable and continue to weigh yourself at least once or twice a week. Of course, weight is prone to fluctuation, but this will give you a general idea of where you want to keep your weight throughout the holiday season. Looking for a personal trainer to keep you in check this holiday season? At Centripetal CrossFit, we offer both CrossFit group classes and personal training sessions in our Erie gym. Whether you want more focused attention or want to join our fitness family in a group class, we’re sure we can offer a workout routine you won’t get sick of and that will always keep you moving forward in achieving your personal health and fitness goals. No matter your age, physical capabilities or familiarity with CrossFit, we’re sure we can help you see results. Contact us today to get started. You can reach our Erie personal trainers by calling (720) 577-2833 or by completing our online form.